If you want to watch a movie without having to worry about anything, KMPlayer allows it: you will not have to install any plugin or codec. KMPlayer plays it all, even damaged or incomplete files, and 3D video. KMPlayer is a media player that can be summarized in one word: excellent. It is nice, lightweight and supports any audio and video file without installing additional codecs. 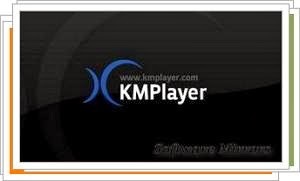 The list of features of KMPlayer is enormous, inexhaustible, and make it a very complete program, which adapts to both experts in the field and those who just want to watch a movie without needed complex settings. If instead you're a purist, KMPlayer offers advanced configuration menu that lets you set any parameters pics: filters, codecs, image processing, image capture, synchronize subtitle and many more. As an audio player, KMPlayer recalls the legendary Winamp. In fact, it supports plugins that works and looks exactly like Winamp.